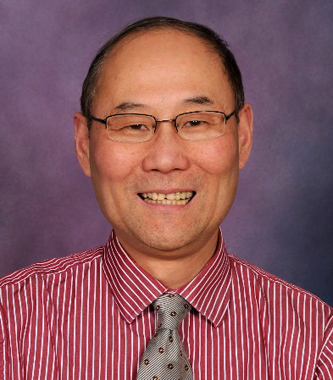 Dr. Jin was appointed Chair of the Department of Physiology in June 2009. Dr. Jin comes to the School of Medicine from the Northwestern University Feinberg School of Medicine, where he served as Chief of Molecular Cardiology and Professor of Medicine. Dr. Jin completed his undergraduate studies and received his medical degree from the Fourth Military Medical University in Xi'an, China. He received his doctorate degree in Molecular Biology from the University of Iowa. Dr. Jin's research interest is in the area of protein structure-function relationships. His laboratory's focus on two actin filament-associated regulatory proteins, troponin and calponin, as model systems. Dr. Jin is accepting new MS and PhD students for the 2019-20 academic year. Established in 1993, my lab is interested in the regulation and structure-function relationships of contractile and cytoskeleton proteins. Muscle (cardiac, skeletal and smooth) contraction and non-muscle cell motility play vital roles in physiological activities and pathological conditions. Our research is focused on actin thin filament-associated regulatory proteins: troponin and calponin, to study their regulation and structure-function relationships. Molecular biology and genetic approaches are used to investigate protein isoform evolution and expression as well as to provide engineered protein constructs for functional characterization. Biochemical, biophysical and immunochemical methods are used in studying protein structure and function. Cell culture systems and transgenic/gene knock-out/knock-in mouse models are developed for integrative functional characterizations at cellular, organ and whole animal levels. a) Regulation and function of troponin T isoforms: Biochemical and biophysical studies are performed to investigate the functional significance of various troponin T isoforms in the Ca2+-regulation of cardiac and skeletal muscle contraction and diseases. The studies are focused on the abnormal cardiac troponin T splicing variants found in dilated cardiomyopathy and a slow skeletal muscle troponin T mutation that causes a lethal type of nemaline myopathy. This line of study is currently funded by NIH grants R01HL127691 and R01AR048816. c) Mechanical tension regulation and function of calponin: To study calponin's function as a troponin analog in smooth muscle and non-muscle cells, we are investigating their role in the fine-tuning of smooth muscle contractility, non-muscle motility, and the function of actin cytoskeleton during development, tissue remodeling and cytokinesis. The study is focused on mechanical tension regulated calponin gene expression and protein degradation in epithelial, endothelial, fibroblast, macrophages and smooth muscle cells. d) Protein engineering and immunological detection of biomarkers: Advanced technologies are used to generate novel tools and develop new diagnostic methods for myocardial and infectious diseases, as well as industrial production of recombinant proteins. This line of research is currently supported by a collaboration contract and NIH grant R21AI116659.